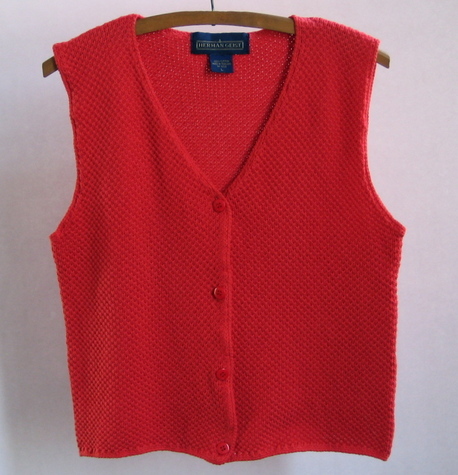 Cute cotton knit vest in tomato red with four matching buttons on front. Made for Herman Geist, a label known for quality traditional sportswear. Colorful accent with jeans or casual skirt. Shoulder seam to bottom: 21.5"